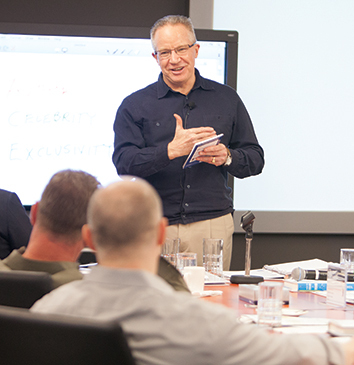 What you get when you join The Strategic Coach Signature Program. The Strategic Coach® Signature Program is designed as a total support system for any successful entrepreneur with their sights set on “sky’s-the-limit” growth and the freedom to create the kind of richly satisfying life they dreamed of when they made the decision to become an entrepreneur. Any business owner who’s come to us for entrepreneur coaching will tell you that the Program is not a quick fix. It’s a transformational change that builds on everything you’ve accomplished so far — and a new way of thinking that will be your foundation for everything you do going forward. The Strategic Coach is about you and your growth. You decide on your most important goals and on your game plan. We provide the structure, tools, and support that give you a new perspective on your business and a fresh way of thinking — and keep you on track to turn your goals into reality. 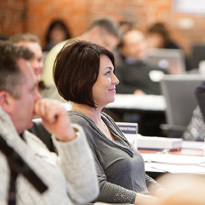 Your four quarterly workshops with your coach and a community of like-minded peers are a rare opportunity to get outside the day-to-day of your business to a place where big ambitions and dreams are normal. At each workshop, you’ll have plenty of time to focus on and strategize what’s most pressing in your business right now — and get objective feedback from your coach and the other successful entrepreneurs in the room. Fresh perspectives and breakthrough insights are inevitable, making it a mind-stretching, exhilarating day. Ready to transform your future? We have new entrepreneur coaching workshops starting soon.